Luscious, long lasting lash curl treatment that will instantly transform your lashes! Ditch the DIY lash curler, mascara and tedious eyelash extensions for this quick and easy professional treatment that will make your natural lashes look longer and fuller. You’ll have a sumptuous Lash Lift that is retained, even after a shower or swimming, that can last at least 6-8 weeks, or longer! 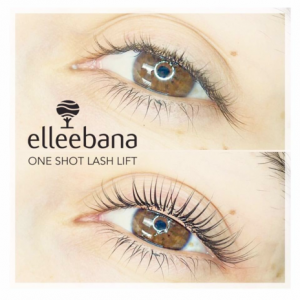 We use the Elleebana Lash Lift that features a lifting lotion and silicone rods to lift and curl your natural eyelashes to make them look longer and fuller. Lash lift is a fantastic alternative to eyelash extensions and there’s virtually no aftercare required! Give your skin a flawless, perfect complexion with our exclusively branded Mineral Makeup. We carry a wide array of products and colors to suite almost any skin tone. Call to schedule your makeup lesson today!